I’m a big believer in thank you notes. And thank you treats. ☺ This technologically savvy world we live in has provided us with super fast ways to communicate, including text and e-mail, but when it comes to saying thank you, nothing beats a hand-written thank you note. I’m talking about a good, old fashioned, lick the envelope, put a stamp on the front and drop it in the mailbox kind of note. Isn’t it the BEST feeling when you check the mail, and find a letter addressed to you that’s not junk mail or a bill? Something meant just for you? Do you want to write a note, but aren’t sure what to say or how to say it? I have six steps that I follow every time I write a thank you note, and they’ll make it a lot easier to put your thoughts down on paper. When you take the time to write out a note, you’re telling someone that they are worth the extra effort. It doesn’t have to be fancy, just a simple expression of your appreciation. Even when job interview etiquette dictates that an e-mail thank you was acceptable, a written note is the extra mile. Who knows? It might be just the thing that helps you get the job! When you get married or have a baby, and receive lovely gifts, send written notes–they will tell each person how much you appreciate their thoughtfulness. I’m trying to teach this to my children, and I hope that starting them young will ingrain in them the importance of gratitude, and taking the time to show it. I also love dropping by a cute bag of cookies, a mason jar full of chocolate, or some other fun treat as a token of my appreciation. I know I love when some yummy treat shows up at my door! I’ve created some really fun printable tags for just this very purpose! I use a 2 inch circle punch to cut them out, but you can use also use scissors. They fit perfectly on top of a mason jar lid, which I LOVE to use, along with some baker’s twine tied around it! 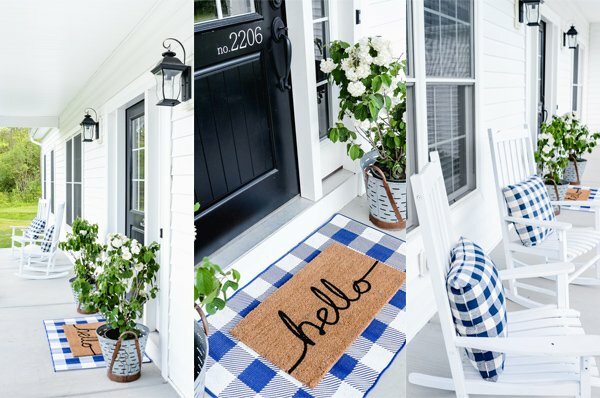 Ribbon, twine, or even a strip of fabric would also be really cute. You can also punch a hole in the top of the tag, and tie it on a clear bag or box filled with goodies! 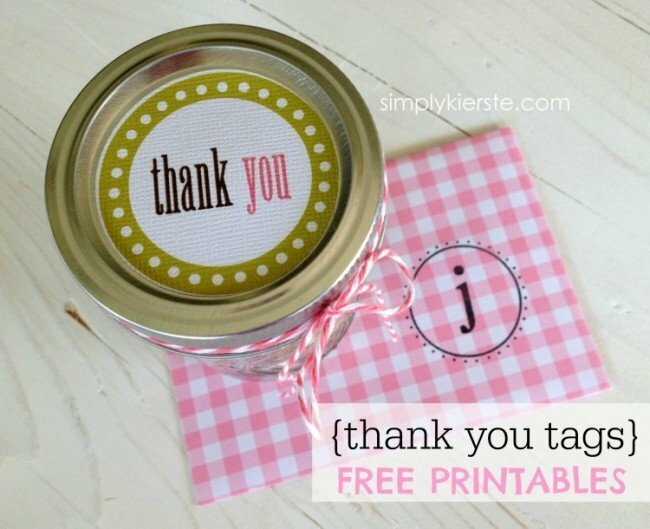 Download your thank you tags here!!! I love your blog . . . I’m really disappointed to see that you are now only sharing with people who use facebook. I wish you would reconsider. I always appreciated that you were willing to share with joy. Thank you for your previous posts and previous desire to share your ideas and downloads without requiring your blog followers to join a group. You have some great ideas and I thank you. I love your site! Thank you for sharing so many great ideas! I appreciate so much your post on saying Thank you. I also have been trying to teach my children how important it is to write thank you notes, and tell others thank you! Saying Thank you can touch another’s life in more ways than we’ll ever know. I can’t wait for your future posts, I look forward to reading and learning more from them! Thank you again for sharing so many great and wonderful things with so many people! Have a wonderful holiday season! Thank you for the awesome freebie. Can be used all year in all sorts of ways. Thank you for your creativity making it available to everyone and not just “fans” of social media.